World-class wines from a trusted provenance where healthy vineyards flourish within restored, connected farm landscapes. 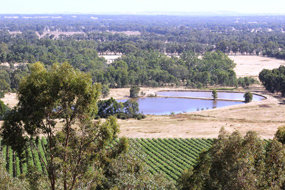 Baddaginnie Run wines come to you from a trusted provenance, the family vineyard of Winsome McCaughey and Snow Barlow in our beautiful Strathbogie Ranges valley. 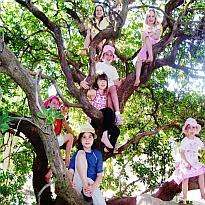 Our story goes way back with grandchildren being the seventh generation associated with this land. The McPherson clan ancestors arrived in the valley in 1870 as part of European settlement. Matriarch Mary McCrimmond McPherson, a feisty Scottish widow settled here with daughter Emilia and son-in-law Alexander McPherson (no relation). Snow and Winsome came together as life and business partners in 1996. 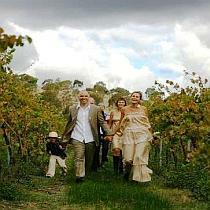 Love of family, land and fine wines inspired us to establish Baddaginnie Run vineyards and the Bio-corridors Network. Create exquisite wines which express the complex flavours of their unique terroir. When the McPherson clan arrived, indigenous flora covered a landscape teeming with native critters. But then wholesale land clearing began! 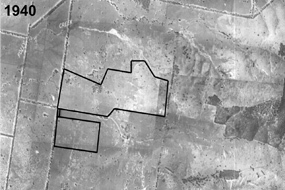 Governments of the day obliged landholders either to clear ten acres of land a year, or to forfeit their land claims. So clear it they did! No doubt clearing was done with good intentions (meeting government targets, feeding families). 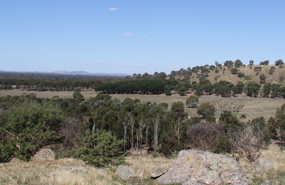 But like the rest of the Australian landscape, clearing for agriculture led to devastating long-term impacts on fauna, habitat, soil, water, biodiversity and ecosystems. So our valley was not always a picture of health. 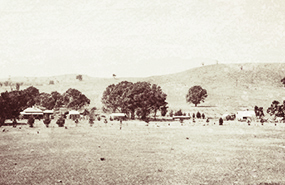 The 1927 sepia photo taken by Jim Howell (Winsome’s father) of the Rocky Hill denuded of all but two trees, shows the impact of 50 years of clearing and intensive farming. In 1980 Angus Howell (Winsome’s brother) and neighbouring farmers recognised that loss of vegetation was causing severe salinity problems. 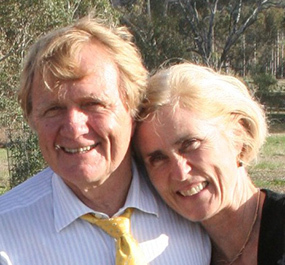 They founded one of Australia’s first land care groups,Warrenbayne Boho Land Protection Group. Family and friends assisted us over the next three decades with protecting existing native flora, planting new areas with tube stock, making tree guards and fences, controlling pests and much more. Today, native creatures are returning in abundance and the valley again echoes with birdsong. But much still remains to be done! To achieve the land restoration and production goals we began developing our Bio-Farm Plan in the 1990s. Our long term aim is to surround the farm production areas or ‘zones’ with a network of native flora that covers 50 per cent of the farm. We allocated some production zones for farm forestry and vines as these are permanent forms of woody agriculture that store carbon efficiently. 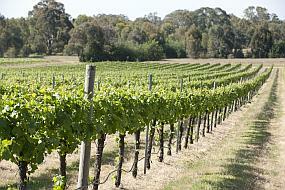 We established Sevens Vineyard first in 1996 and then Janes Vineyard in 2000. Janes was a partnership with friends Heather and Michael Greenaway. Together the two vineyards now cover 20 hectares. 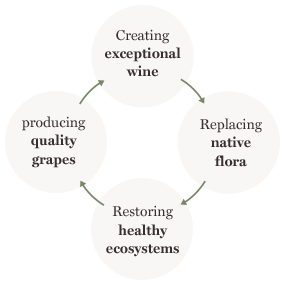 returns from quality wines helps resource continuation of landscape restoration. 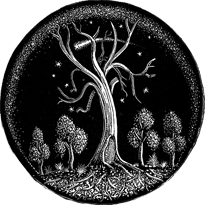 This concept, that the land is capable of regenerating when cared for long term, is depicted by artist Tim Jones in the engravings he created for Baddaginnie Run From the land, for the land – a virtuous cycle. 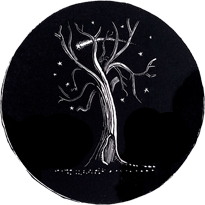 Tim symbolises the deep connectedness of all the elements on the Planet. We are on a journey and we’d love you to come with us. One easy way you can help is through purchasing and enjoying our wines, and by sharing our land regeneration story with others. Earnings from sales are reinvested in further land restoration ( Join us). Bio-corridor networks are the key element of our Plan for restoring soil health and biodiversity and creating carbon storage pools. The first step in developing bio-corridors is to designate which are to be production and which biodiversity zones. 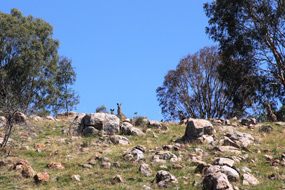 The next step involves protecting and regenerating the isolated, original bush remnants. We then connect the remnants by replanting native flora on the land lying in between. Re-planting is done either by direct-seeding or hand-planting tube-stock. Our long term aim is to grow a network of native vegetation around all our vineyard and grazing areas. In 2012 we received an Australian Biodiversity Fund Grant to develop the Baddaginnie Run Roadside to Ranges Bio-corridors network. This is enabling us to link up further isolated bush remnants into networks, protect bush from stock, control pests and more. 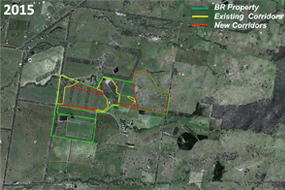 Today, thanks to assistance from family and friends and to the Grant, networks of bio-corridors encircle vineyards, paddocks, creeks and wetlands. Sam Plunkett, renowned winemaker and friend crafts our wines. 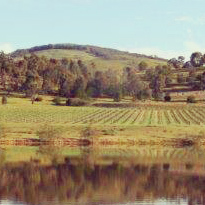 At Baddaginnie Run we are committed to enabling you to experience our terroir. We aim for our wines be the true varietal expression of the fruit … as though you’d just plucked it from the vine on a warm summer’s day. It is this natural connection from land to bottle which we are so passionate about sharing with you. 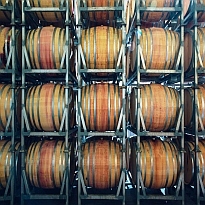 Producing exquisite wines to the highest standards of excellence, complexity and integrity. Caring for country by restoring biodiversity and producing quality goods from a trusted provenance. Considering the impact of today’s decisions on the land’s ability to nourish many future generations.